Newsletter #070: What is Leadership? In this edition, we share a new video tool and highlight the importance of clearly defining leadership with your staff. Team members need to know your definition of leadership so they can aspire to meet and exceed your expectations. Additionally, we've added a book review on Ken Blanchard's newest offering in his "One Minute" series. It's titled "One Minute Mentoring, co-authored with Claire Diaz-Ortiz. Don't forget the password to the Free Tools Download Page. Receive updates in real time. Follow us on your favorite social platform. New Video: What Is Leadership! What's your definition of leadership? Depending on the industry you work in, the approach you subscribe to, and your particular role, leadership can be defined many different ways. As a leader, it's important that you make sure each of your team members has a clear understanding of how you define leadership within the organization. Doing so not only establishes some boundaries and direction, but it also provides your team with a clear path to meet and exceed your expectations. 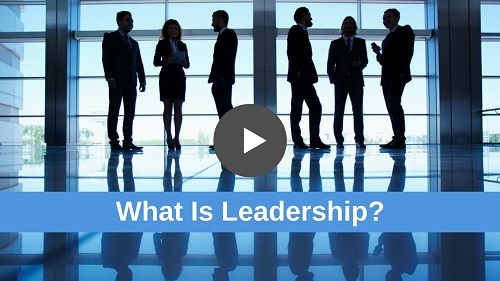 We've recently added an introductory video to our homepage that asks the question... "What is Leadership?" We encourage you to use the above video to spark a discussion on the topic of what leadership means. Ask your team members what leadership means to them. Then share with the team your definition of leadership. Once leadership is clearly defined, this provides a great opportunity to further expand the conversation. Review how the organization monitors performance. Share best practices for the purpose of improving results. Discuss training opportunities to further develop their leadership skills. 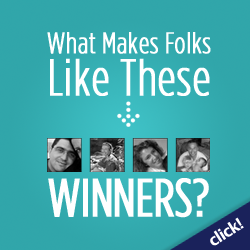 Reward and recognize team members who are demonstrating solid leadership behaviors (e.g. building trust, demonstrating empathy, creating buy-in, etc.) and/or delivering quality results. Using an engaging or motivating video to introduce a topic and/or kick-off a project is a great way to initiate discussion and increase team participation. Already available on our website, we've selected a library of Video Short-Clips on several leadership related topics. These particular videos were selected because they are short in duration and provide a quality introduction to a wide variety of topics. The development and creation of leadership video tools will increasingly become a focus of our site. We welcome your input and suggestions on leadership topics or lessons that you'd like to see in the future. Tell us your wish list, or just share your thoughts here. Highly acclaimed author Ken Blanchard of the original best seller One Minute Manager, has teamed up with Claire Diaz-Ortiz (best known for inspiring the Pope to tweet). Together they have created One Minute Mentoring, which is written as a simple parable about a young man named Josh who is failing in his sales role and is desperately in need of a mentor. Josh meets Diane, who is recognized as a sales powerhouse, but now she longs to spend more quality time with her family. Without giving too much away, Diane agrees to mentor Josh and through the process, they both discover great benefits that come from the mentoring process. We recommend the book and invite you to read our book review on One Minute Mentoring: How to Find and Work With a Mentor - And Why You'll Benefit from Being One. Although, we can't print every comment, please know we read and appreciate every email. "This site is excellent for developing leadership skills. It's very informative, and I've passed it on to other colleagues that found this site also excellent." "The materials are great and easy to use. The audios are good while working on some hard assignment to encourage you." "It is wonderful to see someone using resources (the internet and social media) in such a positive way!" Let us know what you think. What do you want to see in future editions? Have A Hobby or Special Interest? Why Not Earn Income From It? This is where our Leadership-Tools.com journey began.